Praised by The New York Times for his "muscularly virtuosic, remarkably uninhibited performance [and] impressive talents", ANTHONY de MARE is recognized as one of the world's most versatile pianists, a foremost champion of contemporary music. In the process, he has inspired the creation of dozens of new works by some of today's most distinguished artists, especially in the speaking-singing pianist genre, which he pioneered over 25 years ago. Liaisons: Re-Imagining Sondheim from the Piano is a landmark commissioning and concert project that perfectly expresses his vision to expand both the repertoire and the audience for contemporary music. 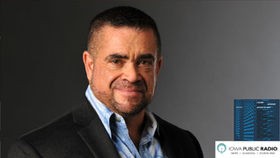 Most recently, the Chicago Sun-Times declared "that de Mare's passion and vision almost radiate from the stage … he causes all involved – composers, performer and audience members -- to think about how music is made and how we listen to it." As creator, performer and co-producer (with Rachel Colbert) of The Liaisons Project, de Mare has brought together many of today's most highly regarded emerging and established composers to create a solo piano piece based on a Sondheim song. Exclusive new works from Steve Reich, Nico Muhly, DBR, Mark Anthony Turnage, Mason Bates, Wynton Marsalis, Ethan Iverson, Andy Akiho, Duncan Sheik and William Bolcom, among others, bring the work of musical theater maestro Stephen Sondheim into the concert hall while spanning the classical contemporary, jazz, film, theater and indie worlds. Sold-out houses and raves in the New York Times greeted the first New York premieres of The Liaisons Project at Symphony Space. Anthony Tommasini of the New York Times extolled Mr. de Mare's "formidable virtuosity" and "dynamic & stylish playing." Joshua Kosman of the San Francisco Chronicle raved that "Liaisons is a revelation… de Mare's playing was superb throughout, a combination of lyrical reflection and extroverted pyrotechnics." In a live onstage interview, Mr. Sondheim called the project "flattering… to hear composers take my music and take it seriously is a thrill." A full 3-CD box set recording of the project is underway, produced by Judith Sherman, for release in the fall of 2015 on ECM accompanied by another major national tour. Mr. de Mare and Liaisons were chosen to represent Mr. Sondheim's oeuvre in the festivities surrounding his receipt of the 2013 Medal of Honor from the MacDowell Colony at the Monadnock Music Festival. An excerpt from the project was also recently featured in the HBO documentary "Six by Sondheim". Additional performances were recently presented at The Ravinia Festival, the Gilmore Keyboard Festival, the Virginia Arts Festival, the Clarice Smith Performing Arts Center, Schubert Club in Minneapolis, Mondavi Center at UC Davis, Rockport Music Festival, the Cliburn Series in Fort Worth, and Music at Meyer in San Francisco. Mr. de Mare's performances span five continents, allowing him to develop a growing fan base that extends far beyond the traditional contemporary music audience. 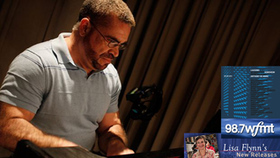 In addition to the 36 pieces in The Liaisons Project, he has premiered works by Frederic Rzewski, James Mobberley, Meredith Monk, Jerome Kitzke, David Rakowski, Pulitzer Prize winners David Del Tredici, Aaron Jay Kernis and Paul Moravec, jazz legend Fred Hersch, and the Tony Award winning composer Jason Robert Brown, among others. Currently on the roster of Yamaha Artists, he has been profiled by the Chicago Tribune, The New Yorker, the New York Times, Time Out NY, The Contrapuntist, BroadwayWorld.com, among others, and has been heard in performance and interviews on nationally syndicated shows with WNYC's John Schaefer, NPR, WQXR and numerous stations across the country. Having been awarded First Prize and Audience Prize at the International Gaudeamus Interpreters Competition (The Netherlands) and The International Competition of Contemporary Piano Music (France), de Mare debuted under the auspices of Young Concert Artists and gave his Carnegie Hall debut at Zankel Hall. Among his best-known performances are his national tour of The American Piano (with pianist Steven Mayer); Playing With Myself, a multi-media concert event that enjoyed a sold-out run at HERE Arts Center (New York, 2001); Missing Peace, an eclectic series of old and new works inspired by the exhibition The Missing Peace: Artists Consider the Dalai Lama at The Rubin Museum in NYC; Cool ~ A Journey into the Influence of Jazz and Unities: Music of Pride and Celebration. 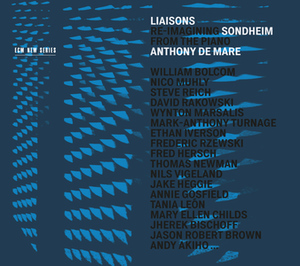 Mr. de Mare has also collaborated and performed with the Bang-On-A-Can All Stars, Meredith Monk/The House, and the Chamber Music Society of Lincoln Center, among many others. Mr. de Mare has nearly twenty recordings in his discography. His newest recording, SPEAK! ~ The Speaking-Singing Pianist, the first disc devoted completely to the genre he created over twenty years ago was released in 2010 on the Innova label. Both SPEAK! and Out of My Hands (KOCH Entertainment) were short listed for Grammy Awards in 2011 and 2005 respectively. For Out of My Hands, American Record Guide raved that "his exquisite touch and impassioned beauty of utterance imbue this program with artistry of the highest order." American Record Guide also named Wizards and Wildmen: Piano Music of Charles Ives, Henry Cowell and Lou Harrison (CRI /New World) as one of 2000's Ten Best Releases. Other acclaimed recordings include: Pianos and Voices: Music by John Cage and Meredith Monk, an unprecedented pairing of these two mavericks of the American avant garde (Koch), Frederic Rzewski - Anthony de Mare (O.O. Discs), and Oblivion, with cellist Maya Beiser (Koch). 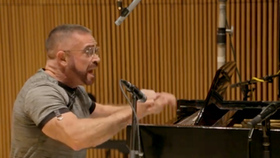 Currently professor of piano at Manhattan School of Music and New York University, his commitment to education is evidenced by his residency work at universities across North America, in which he has inspired a whole new generation of pianists and contemporary music advocates, encouraging them to initiate creative strategies as innovative entrepreneurs.Praised by The New York Times for his "muscularly virtuosic, remarkably uninhibited performance [and] impressive talents", ANTHONY de MARE is recognized as one of the world's most versatile pianists, a foremost champion of contemporary music. In the process, he has inspired the creation of dozens of new works by some of today's most distinguished artists, especially in the speaking-singing pianist genre, which he pioneered over 25 years ago. 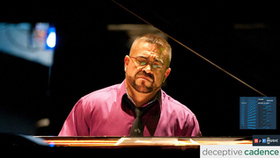 Currently professor of piano at Manhattan School of Music and New York University, his commitment to education is evidenced by his residency work at universities across North America, in which he has inspired a whole new generation of pianists and contemporary music advocates, encouraging them to initiate creative strategies as innovative entrepreneurs. 13 I'm Excited. No You're Not.